Landscaping by Allen is a locally owned and operated Billings based business that offers landscaping design, installation and maintenance. We are your #1 source for landscaping in Billings MT We provide landscaping services like waterfalls, rock work, and tree work. 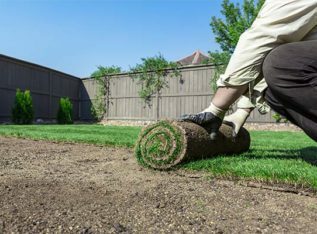 General landscaping and yard work services in the Billings area include trimming trees and bushes, edging and full yard cleanup. 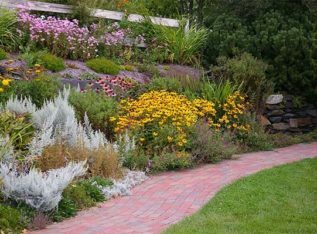 Landscaping by Allen is a locally owned and operated Billings based business that offers landscaping design, installation and maintenance. With over 20 years experience, Landscaping by Allen is owned by Al Jordan who brings his high level of expertise to each and every job. The company mission is simple: To improve our client’s quality of life by completely transforming their yard into a virtual showcase of nature’s beauty and highlight the colors and textures of each individual home. Our goal is to make the outside of your home as beautiful as the inside and give you the yard that you will not only love spending time in, but be proud of as well. For landscaping in Billings MT, give Allen a call! Whether you are looking for a simple, cost-effective design to help facilitate a smaller project or an initial phase, or an in depth, detailed plan to help bring a large vision to fruition, our company is here to serve. 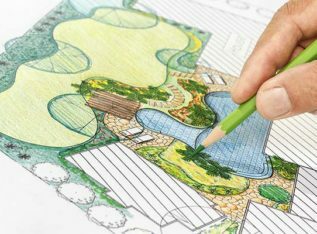 We have extensive experience in all areas of Landscaping Design and can not only make your idea come to life, we can help point you in the right direction or add to your current vision. 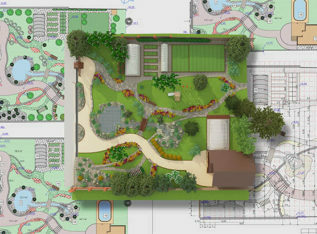 We will work with you to create a design that will bring your property to life and maximize it’s potential. We can utilize both retaining walls and decks to give unused space a purpose or fences and hedges to create spaces in your yard with a private, relaxing feel. In the past we have designed plans to incorporate lawns and patios as more usable space to entertain guests and of course plants, complete with irrigation and lighting to highlight them. We will advise on the most effective and appropriate materials and supplies to use that are specific to your personal taste and style, the end result of which will give you a setting that you can enjoy the year around. 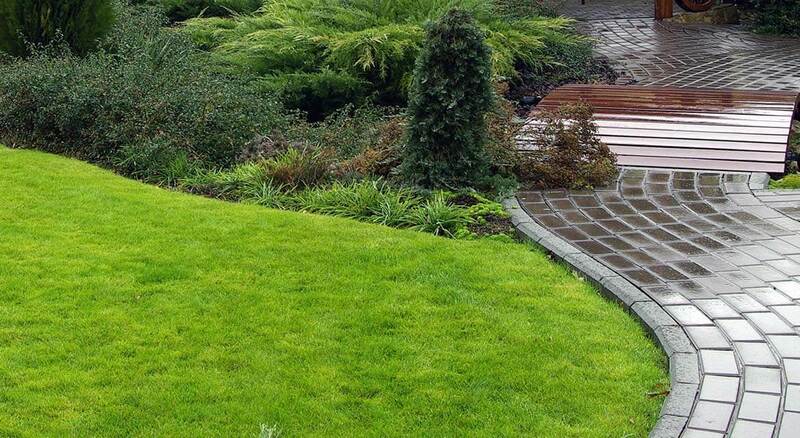 Al and his crew are highly experienced in landscaping in Billings MT and surrounding areas. They are professional, skilled craftsmen that are adept at translating your instructions into beautifully constructed landscapes. 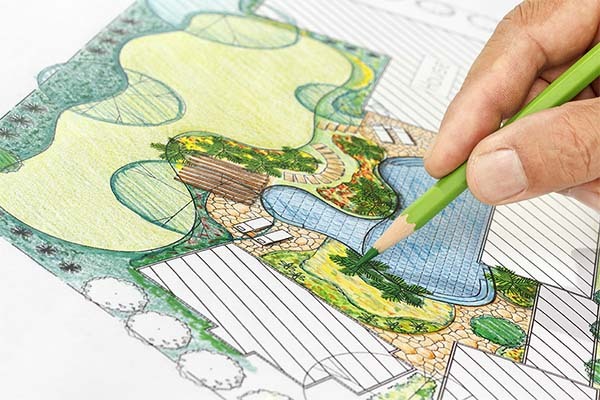 Whether you have detailed designed plans that the crew will use, or just simply give them word of mouth instructions, your yard will be transformed into a a thing of beauty that will retain its value and give you enjoyment for years to come. Always hard working and courteous, this group of pros will respect your property throughout the project and leave it cleaner and in better shape at the end than it was in the beginning. Al will remain your point of contact for each and every job and will manage the installation in all phases to make sure that you get the finished product that matches your visions. Our installation services include rock-work, tree-work, edging, waterfalls, and pretty much anything else you can dream up. No job is too big or too small. 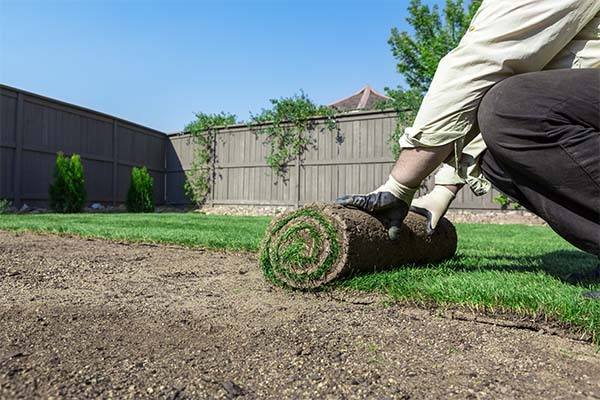 We offer a number of complete landscaping maintenance programs that are specifically customized for each client we work with. 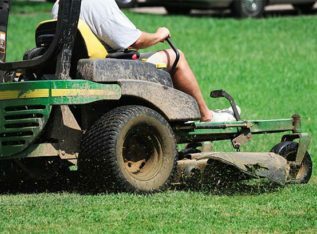 We don’t try and sell you services that your yard does not need, instead we work to customize a plan that fits you, your yard, and your budget. Whether you live in the Billings area or Laurel or Shephard, whether you need a maintenance plan for your business or your home, we have the experience to form a comprehensive maintenance plan for you. We offer the best combination of reliable service, quality and price in the area and we stand by our work 100%. Each job is guaranteed to meet your expectations. Al’s crews are well trained and he works closely with them at every job to ensure that the focus remains on the best industry practices and standards. With an emphasis on sustainability and what is best for the environment, Al provides guidance for seasonal tasks to make sure each maintenance visit is maximized. Knowing when (and when not to) prune, fertilize, and irrigated are all aspects that are addressed with each and every visit. If adjustments need to be made, they are made on the spot so that a problem is never perpetuated. We will leave a door hanger at your home or business after each business that outlines what was done for each service. This way you will know that we were there and what exactly we did. Our maintenance contracts are always customizable and adjustable to fit your changing needs. We are always flexible so that our customers can choose what services work for their budget. We strive to make sure that you are getting the highest quality service possible for each maintenance visit that we make. 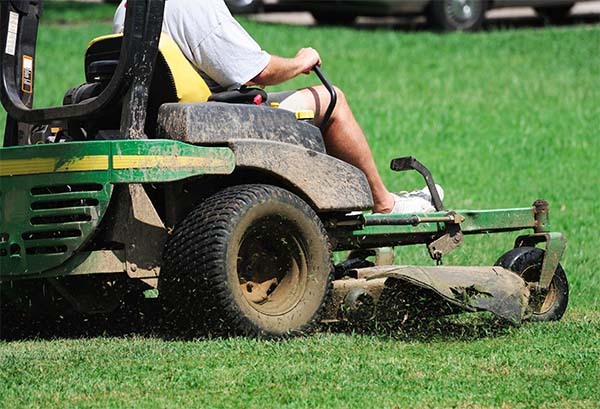 And of course we can handle all levels of lawn and lawn care in Billings, MT and surrounding areas! 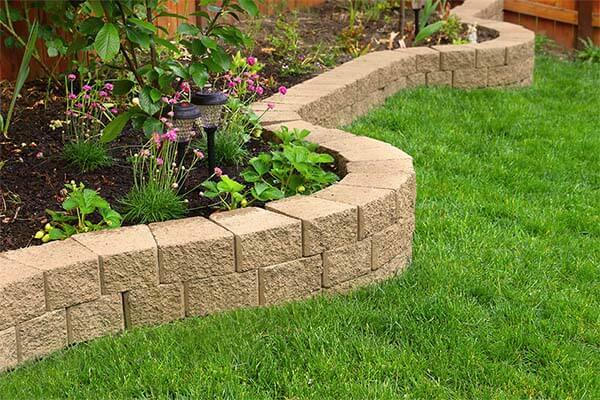 Billings Landscaping Design and Installation Services If you're looking for Landscaping, Rock work, Tree work, Trimming Trees/bushes, Yard Work, Edging, Waterfalls, and general yard cleanup, click below to get a free project quote. 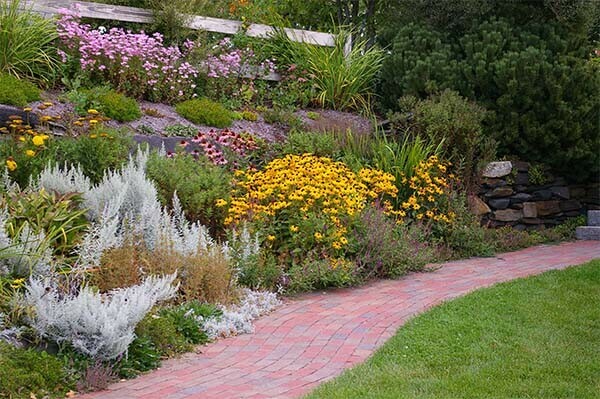 We provide full landscaping in Billings, MT and the surrounding areas! Billings Landscaping and Design Experts! We are here to offer our commitment and insights to each of our clients so that you can make informed decisions as to how best to improve your property. We will offer our expertise so that you can make the decision that best fits for your home and your family. What sets us apart is our commitment to quality and excellence, as well as our integrity and professionalism. Each job, no matter whether it is large or small, is treated the same way so that you know you are getting quality work done for your yard. We strive to be friendly and professional and our knowledge base is always increasing as we expand our skills to keep up with the changing landscaping industry. We are not only familiar with local Billings area trends and services, but also national trends so no matter if you want a traditional look for your yard, or something more modern and bold, we can help you achieve the look you are going for to give you something you will be satisfied with for years to come. Not only will you love the new look of your yard, you will be the envy of your neighborhood as well! Get a Free Project Quote Schedule your appointment now! Get a free personalized project quote for your next landscaping project or snow removal need and learn more about our other yard services that can help save you time!